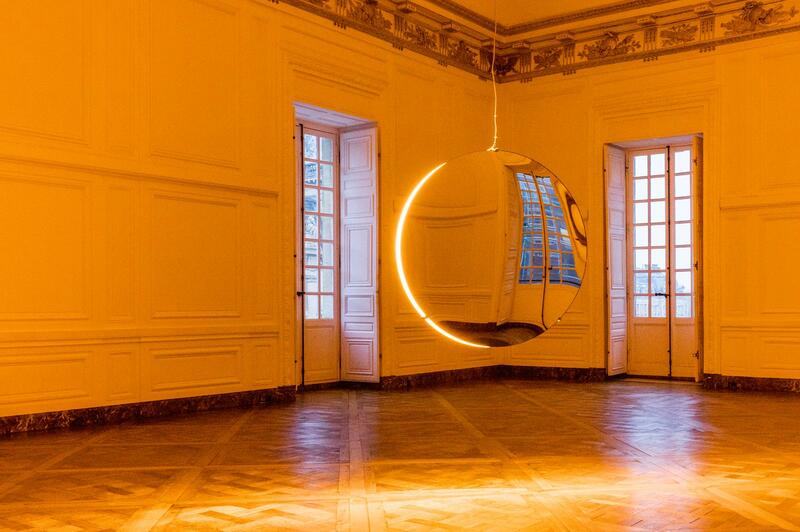 In the middle of the room there appears to float a strange spatial glitch, with a curved edge of yellow light. This surprising apparition is the product of a monofrequency lamp sandwiched within two large, round, slightly convex mirrors. Attached to one another with their reflective surfaces facing outwards, the two mirrors form an upright mirrored disc that hangs from the ceiling. 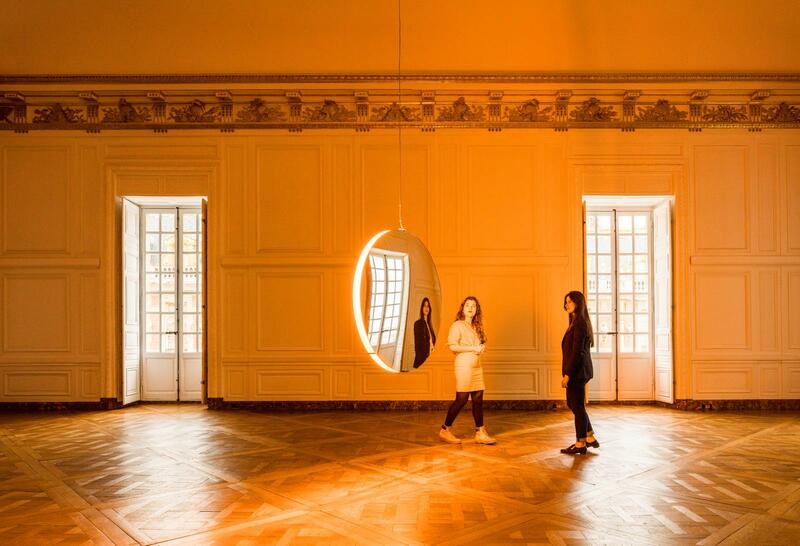 The interstice between the mirrors contains the lamp, whose yellow light illuminates their facing, matte white inner surfaces and shines out into the surrounding space.